We’re screening The Manchurian Candidate (the good one) tomorrow night at the Nitehawk Cinema in Brooklyn as part of our It’s A Conspiracy series. 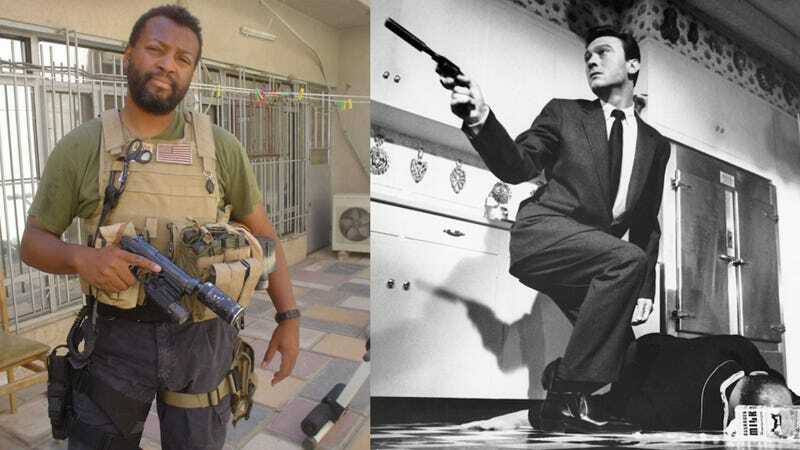 Joining us to talk after the film is none other than Malcolm Nance, whose job for the military was to help soldiers soldiers endure torture and not get turned into brainwashed assassins for the enemy. Malcolm was at one time the Chief of Training for the US Navy Survival, Evasion, Resistance and Escape school where he taught high risk of capture SEAL, pilots, soldiers, sailors and Marines how to avoid capture, resist enemy torture, exploitation and psychological stresses and try to escape captivity whether as wartime POWs, peacetime governmental detainees or as terrorist hostages. An expert on torture, particularly waterboarding and mental survival, he’ll bring his unique views on the brainwashing tactics used in The Manchurian Candidate which was widely watched and discussed in the SERE community. There are only a few tickets left so get them now and thank us later.